Keep bugs from invading your pets using a repellant. Use care when choosing a repellent to use on them. This is a guide about insect repellents safe for use on pets. I have outside dogs in a grass floored compound. I have a serious fly problem. I've tried sticky fly traps. Are there any natural ways to treat the ground to deter flies, but not hurt dogs? Diatomaceous earth. It's ground up prehistoric diatoms, and it's basically just calcium and other minerals. It can be used topically or internally. Works great as a natural wormer, as it is totally nontoxic. It works mechanically against pests, no chemicals or poisons. Make sure you buy the food grade, not the industrial grade (sold by pool supply companies). My best source is a feed store. Good luck! Try planting sage around the area, flies hate the smell of the stuff and steer well clear, I grow it in my kitchen for that reason, and if a fly should accidentally come it, it is comical watching it try to get out again as fast as possible! I have a lot of luck with a simple solution- clear plastic bags filled with water hanging a few feet off the ground. I first saw this in the out door resturants in Mexico- they hang bags of clear or colored water around the perimiter of the area to keep the flies out. Something about the reflections in the flies multi-faceted eyes scares them away. I hang one every year by the door to my kitchen that my dogs come in and out all day and I have not had but two flies in my house in the three years. Ihave never tried it low to the ground- but all I use is about two cups of water in a used clear plastic bag tied with a twisty, so it is cheap to try. mine is hung at about a foot above my door where the light hits it. Just make sure after the dog eats to sweep whatever mess he/she made while eating. Also, we put tacky tapes (those long gold things) around the patio..Then we got our garage fan and plugged it in on the outside to where all those flies are.. we still get a few but not like before..now at least we can eat outside without having flies around us..our fan is a big square one. My mom always told me to wash the porch down with Lemon scented Dawn dish soap. Flies don't like the smell. Be sure to wear a face mask when working with the diatomaceous earth. It's silica, not calcium, and under the microscope they look like little triangles and other shapes, with sharp edges. But if you feel the powder between your thumb and finger, it's not sharp even with hard pressure. The main thing is, don't get it into your lungs, it can cause silicosis if there's enough, it is never cleared out if it gets far enough down into the lungs. So spread it around, wash it down, and you're permanently all set, there won't be dust and it will keep baby flies from hatching. Best thing about it of all: it never rots, it's always there, working to keep baby flies from making it to adulthood! I like the stuff very much everywhere except where I want earthworms, very reliable. God Bless you! I'd move the dog to another area while you then rinse everything with a solution of 1/3 cup bleach, 1 teaspoon Lemon Joy or equivelent, 1 tablespoon Les-toil concentrate, mixed in a gallon jug of HOT water, spraying it on everything in sight and letting it air dry, without rinsing. Then, put newspaper down fresh everytime you feed your dog, washing/wiping his bowls out with SOAP , rinsing well, and keeping the dog as clean as possible. Look around for any food source the flies have laid eggs in, that you could eliminate. If necessary, use a bigger dog bowl, rather than take a chance on more flies breeding. There are biting flies that really hurt and irritate pets and humans, if you haven't discovered that there. even tiny crumbs, even certain plants actually attract flies, such as the Star cactus, I believe. There has to be a source for the flies to be there. The dog feces and food. After you wash every thing down like everyone says, the Diatomaceous earth is the best and safest thing to use. A FAN is great if you can get one out there. At my farm we used to rent a fogger at a Feed Store and it had a Chemical that killed them all for some time. I know the they really bother the dogs though. Where do you buy food grade Diatomaceous earth? The last time I gave my 11 month old dachshund Frontline Plus for fleas he was "wheezing". I don't want to give it to him again. Will Diatomaceous earth ward off the fleas? Question: Is Skin So Soft Safe to Use on Cats for Fleas? I have a Border Collie and a Yorkie. The Yorkie is not bothered much by the mosquitoes, but the Border Collie is enveloped in a swarm the moment he steps outside. Does anyone have a safe repellent that I can use on his face? The skeeters bite his face and even his eyelids. Thanks. places where mosquitoes can breed? Perhaps you could go to an essential oils place and find lime oil. What about rubbing him in safe places with a fabric softener sheet? I've heard it works wonders with humans by just carrying one in your pocket. Rub it on places he can't clean off; top of head, ears, etc., nothing he could lick. Probably worth a try. Poor thing. Good luck! Try a little spray with lemon eucalyptus. Food grade Diatomaceous earth (DE) is supposed to work. It is all natural, has no taste or smell, and it's non-toxic. It also kills fleas & ticks on contact. I use a Melaleuca product called Solumel, I put it on a rag or paper towel and rub it on the dog's fur. Seems to work very well. I also use it as a diluted spray for my horses, keeps the bugs away from them. No, I do not sell it. Google it and go from there. It is not found in stores and is Australian tea tree oil based, so if you are allergic to pine trees, stay away from this. I have an outside dog that is having problem with bugs bothering him. Is there a homemade spray that is non toxic that I can use on him? There are many sprays like this made for pets, but unfortunately the smell from the essential oils tend to bother the dogs & cats more that the chemicals do! Also it's common for pets to have allergies to these essential oils! The most common ingredients are oil of peppermint, eucalyptus, pennyroyal & citronella. NEVER put these natural bug sprays on you pet when they've just been bathed in the last 2 or 3 hours or their skin can feel like it's burning. It's hard to decide between natural or chemical bug repellents for pets, but remember. the strong scent of the essential oils can really bother their super-sensitive noses & sense of smell & if your pet goes outside & lives near the woods they won't be able to smell raccoons & other predators because the oils can mask their scent. ---> I recently had my cat almost die from Advantage brand flea drops. 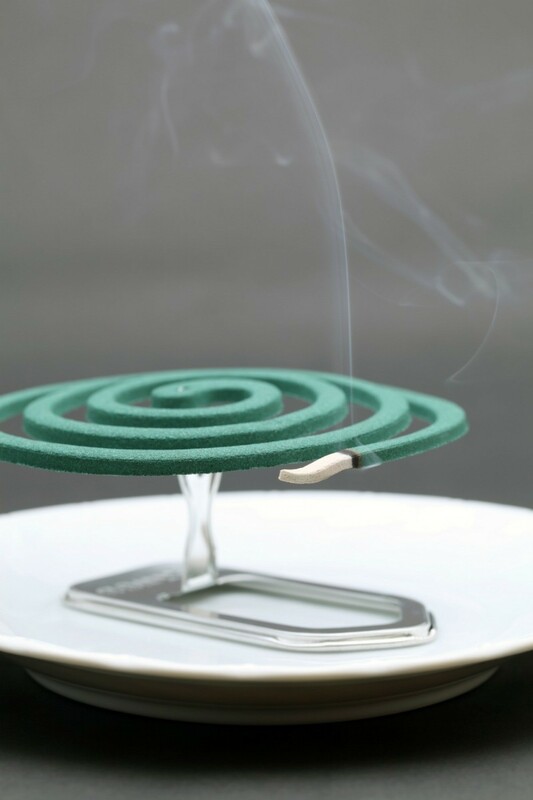 I've since found out that the company that makes them has put out a warning, but I've also decided to stay away from "natural" bug repellents. There are several new brands of the "monthly" types on the market. Do some research & talk to several vets! * One last thing: Any time you use any of these bug repellents on your pet, first put only one small drop on them, then wait at least 2 or 3 hours before putting more on. This way you can tell if your pet has an allergy! My friend had his cat start foaming at the mouth right after he put only one tiny drop of advantage on her neck. My vet says seizures are also common. The directions on Advantage say to apply the whole tube once a month, but I believe it should be done differently - with half a tube being applied every 2 weeks so the animal doesn't have so many toxins applied all at one time! Listerine: But the very best thing for repelling mosquitoes & some other bugs is Amber colored Original Listerine. (not the mint kind!) Put Listerine into a spray bottle & spray or wipe on to your dog. This can last for up to 2 days & is fairly nontoxic. * Buy a large bottle of real Listerine (not the dollar store brand!) from Costco, Target or Walmart & put it into a spray bottle or a garden sprayer ($12) then spray your pets bedding, the grass & the area all around where your dog hangs out. This will last several days. My sister sprayed an outside wooden deck before a party last year & the mosquitoes stayed away for 2 days... They seem to hate the original amber colored Listerine (I think it's because of the eucalyptus). I use frontline spray for both dogs and cats and it seems to keep bugs away. I would never use the drops at all. Anyway it is more economical since I have more than one pet. I buy it online at 1800petmeds. I buy the 250 bottle of spray. It is safer than advantage and I know my animals appreciate it. I have heard vanilla extract..the real kind not the fake imitaion kind, keeps mosquitos away if you put it around on them dabbing it on...... I bathe animals in peroxide and baby shampoo to kill bugs when they are too young for spray. I would check earthclinic.com and see if Apple cider vinegar repels pests and what benefits it is to the animals. I have heard about fabric softener sprays ( I dilute fabric softener in water until I like the smell) repel bugs from your clothes and such. I would spray it on the dogs bedding it makes static less of a problem and the hairs fall off better when you shake their blankets. I also use it on the carpet and in the air. It is cheaper and I like the smell better than fabreze. smell good and keeps the bugs away. What is a good mosquito repellent for pets, especially goats? I had a problem with one of my German Shepherds. His ears kept being bitten. I went to the pet store and I was recommended a spray repellent wich is actually used for horses, but it works wonderfully. I am in Australia but you would certainly have the same thing in the US. In the summer, which we are almost in here in Aus, I never let them out at night without it, because the mosquitoes here can cause Ross River Virus, and other nasty diseases. And I have such a phobia about flies annoying my dogs anyway, this spray is invaluable for keeping them away in summer. I tried citronella but it didn't seem to work as well as this spray. I used this fly spray I bought at Petco to rid flies from my German shepherd. Please take precaution on how you put it on your dog. If your dog is anything like mine, he licked all the areas I had sprayed and fell deathly ill. After nursing him back I threw out the can of Flies Off and just use the Frontline. No more toxic fumes for any of my pets, I prefer only organic or the home made stuff from now on. What can I use for keeping mosquitos off 3 week old puppies? There are countless suggestions for home remedies, using a variety of products intended for other purposes, to keep gnats from biting dogs. Take care when trying these; check with your vet for safe solutions. 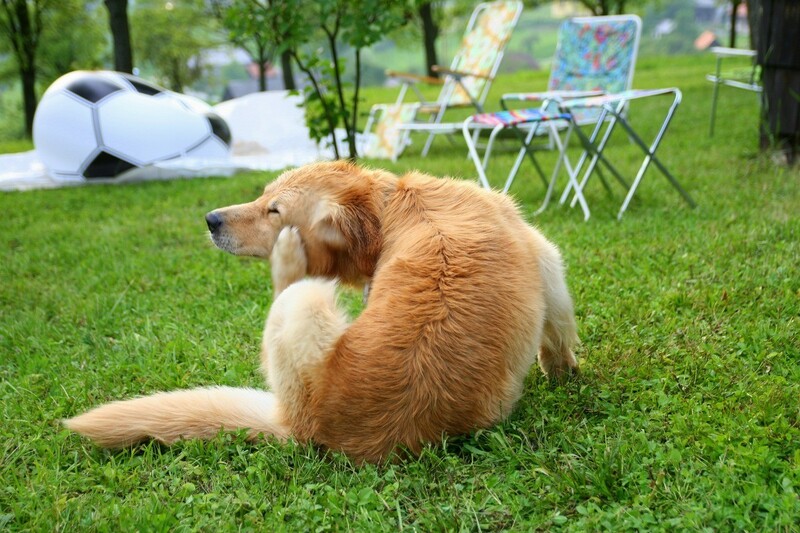 This is a guide about gnats biting dogs. I have 2 large dogs and the flies are eating on their ears. 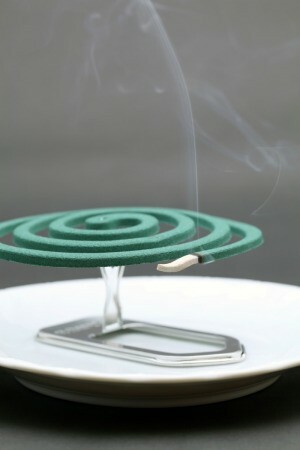 Does anyone have a home remedy that I could use to repel the flies from my pets safely? Thank you.